Sanam’s Cover Of ‘Neele Neele Ambar Par’ Is So. Damn. Amazing! 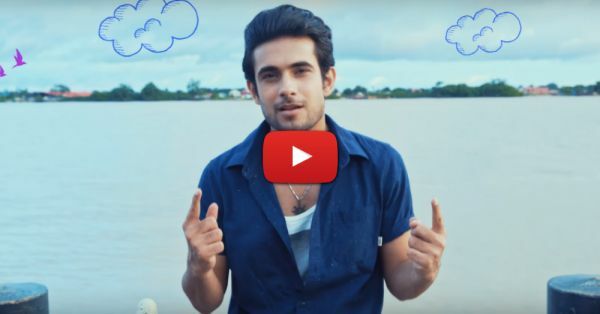 While we are all preparing ourselves for monsoon showers, it’s also time to bring in some monsoon love with Sanam Puri’s rendition of our all time favourite - ‘Neele Neele Ambar Par’ by Kishore Kumar from the movie Kalaakaar. Shot at the beautiful lands of Suriname, the cover is an absolute treat to ears. The amazing music, the super cool vibes and of course, Sanam’s charm - it’s all so mesmerising. We bet this cover will set the mood right for some romance. So girls, it’s time you stop everything else and listen to this beautiful cover right now! P.S: Don’t forget to share it with your boyfriend!